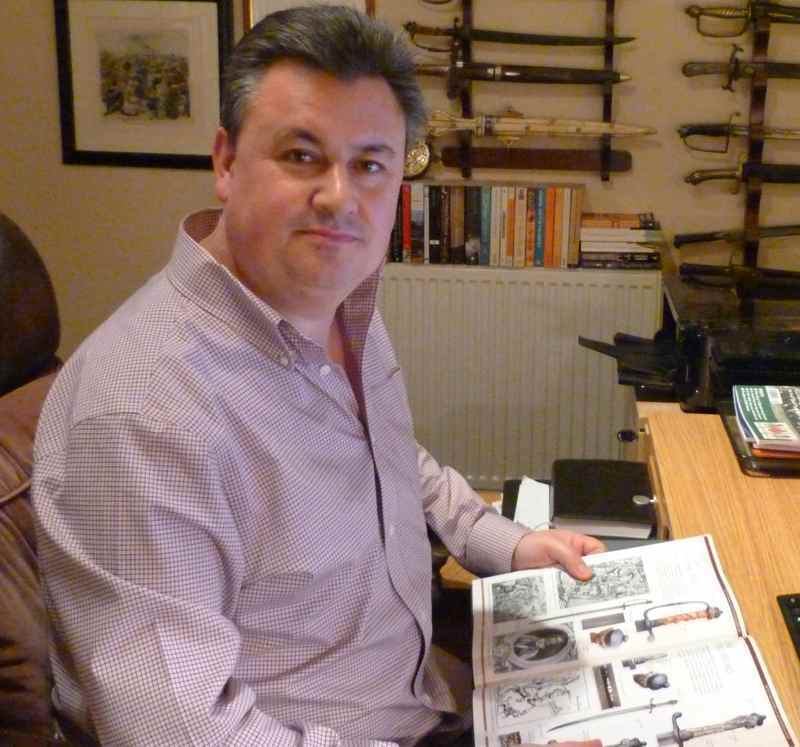 "A warning to fellow antique sword collectors and dealers..."
Since 2008, I have been the victim of a number of highly libellous and defamatory blogs against me and my business from an individual. See below for an excellent article on malicious blogging and the internet. Just like newspapers, bloggers can engage in libel, a written form a defamation in which a person is unfairly disparaged with false accusations of impropriety. However, while you may be able to sue newspapers that defame you for thousands of dollars, many blogs are not backed up by deep-pocketed corporations, and you can't get blood from a stone. Still, you can pressure the blogger to publish a correction or retraction, and if worst comes to worst, you can file a libel claim in civil court, which, even if it doesn't produce a financial windfall, may help advertise the blogger's libelous ways and prevent larger media organizations from picking up on the false claim. Ensure that the claim is verifiably false. Like it or not, truth is the first, best defense against claims of libel, and that applies to bloggers as much as other journalists. For you to have a legitimate libel claim, the blogger you are accusing must have alleged as fact something that not only drags your good name through the mud, but also did not occur. If a blog post's alleged fact is true, you will have a difficult time arguing a libel case, even if the reporting of that fact is surrounded by opinion that disparages you. For instance, a blogger can legally say that your new restaurant has the absolute worst pad Thai he's ever tasted, even if you disagree with such an assessment and it damages your business. However, if he writes that he saw the chef spitting in patrons' dishes or that he knows that you are using cheaper ingredients than you advertise, and you are certain these facts are incorrect, you may have a case. Examine whether you are considered a public figure. If you are a politician, celebrity, participant in a controversy or anyone else who can use the media to get his viewpoint out to the masses, the standard for libel is much more stringent. Whereas private citizens have to prove negligence to sustain a libel case --- in other words, that the blog was negligent in verifying that the published information was accurate --- public figures must prove malice, meaning the blog knew the information was false and published it anyway, either in furtherance of an agenda or out of recklessness. Contact the blogger and seek a retraction. Reputable bloggers, like reputable newspapers, are eager to correct inaccuracies in their reporting. Call or email the blogger you believe libeled you, and present your case to him: Perhaps he misreported or misunderstood an event or documents. Be prepared to produce evidence to support your claim. If you present a compelling argument, the blogger may publish a retraction or correction; this may not erase the damage done by the initial report, but it could help mitigate the fallout. Contact the blogger's Internet service provider and ask it to remove the offensive content. If the blogger does not respond to your query, you may take your case to his ISP. Under the Communications Decency Act of 1996, ISPs may face legal action if they are made aware of libelous content on one of their sites but do nothing. After all, most ISPs require websites to agree to not publish defamatory information. However, the law also prohibits ISPs from being held liable for statements published on their websites if they weren't made aware of them. Contact an attorney who specializes in media law. The specifics of the media law differ from state to state and case to case; rarely are two libel claims the same. Moreover, given the rapidity with which mass media is evolving, the law cannot always keep up with technology innovations and changes in how events are reported and debated online. It is best, then, to contact a lawyer familiar with communications law to determine if you have a case and if it is worth taking to court. Even if you have been libeled, if there has been no serious damage to your reputation --- for instance, the libelous blog gets only a handful of views a month --- filing a lawsuit may not be worth the time and expense.